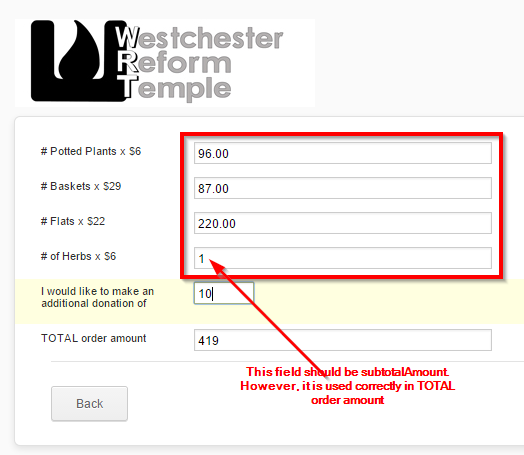 How to take multiple subtotals of items and add a total line for the Form Calculation widget? I am selling multiple items in set price categories with a running subtotal per category. I would like to have a total line pick up all the different subtotals. I would prefer not to add all the fields into one big equation. I believe that you are referring to your JotForm titled "2015 Plant Sale PreOrder Form". I see that you have added subtotals to total in the last screen. It seems that you have fixed it. If you mean to ask something different, please let us know. We will be happy to help.